Blog > Uncategorised > A blooming great day out! If you’ve the urge to wander lonely as a cloud in the Lake District, you’ll not only discover Wordsworth’s famed ‘host of golden daffodils’ but a number of splendid gardens open to the public in stunning surroundings. The recently restored formal Italianate gardens at Rydall Hall in Ambleside and Holker Hall at Cark-in-Cartmel are among eight across Cumbria opening on March 24 under the National Garden Scheme celebration of Wordsworth’s Daffodil Legacy. 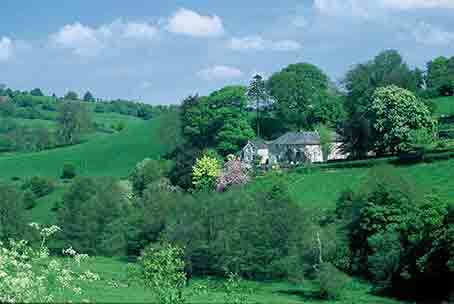 Amazing views can be savoured at Copt Howe, Langdale, described as ‘mountain paradise gardens’, while snowdrops and daffodils are in abundance at Sizergh Castle, near Kendal. And you can expect more spring flower power if you’re visiting Beatrix Potter’s farm at Hill Top, near Sawrey. Linthwaite House and Lakeside Hotel in Windermere are handy for exploring Lakeland’s fine gardens. Lakeside offers a third night free for guests visiting over Easter. Spring arrives early in Cornwall and many of the county’s famous gardens are within a short drive of Rose in Vale Hotel, which has a four-night, self-led Spring Garden Break. It also hosts the Great Cornish Gardens Week (from April 7), a guided five-night tour taking in some of the smaller, private gardens as well as the better-known ones. Many of Cornwall’s gardens are at their best in spring, when camellias, rhododendrons and magnolias burst into colour. Enys is famous for its spectacular bluebells, while others worth a visit include the National Trust’s Glendurgan, Lanhydrock, Trelissick and Trengwainton. In Wales, Dolserau Hall in Dolgellau is perfect for exploring southern Snowdonia’s gardens. Portmerion and Glansevern Hall are nearby, while four National Trust gardens – Bodnant, Erddig, Chirk and Plas yn Rhiw – can be reached in under an hour. During March and April the hotel offers a two-night stay for under half price. Further north, the Castle Hotel in Conwy has more fine Welsh gardens nearby. Chester is an attractive city at any time of the year, with numerous gardens within a half-hour drive. Most azaleas bloom in March/April, followed by the rhododendrons. The Japanese gardens at Tatton Park and the Grove and Woodland Walk at Arley Hall are particularly attractive around this time. As a bonus, Chester’s Green Bough Hotel has a 40% off deal during March and April. Spring Flower Shows give inspiration to countless keen amateur gardeners. Colwall Park Hotel is on the sunny western side of the Malvern Hills and only a ten-minute drive from the spa town’s Spring Garden Show (May 9-12). Rudding Park has a special two-night VIP package to the Harrogate Spring Flower Show (April 25-28). *Check dates and times of opening of all gardens before visiting.